> Custom Graphic Imprint Canopy 10' x 20' ft. 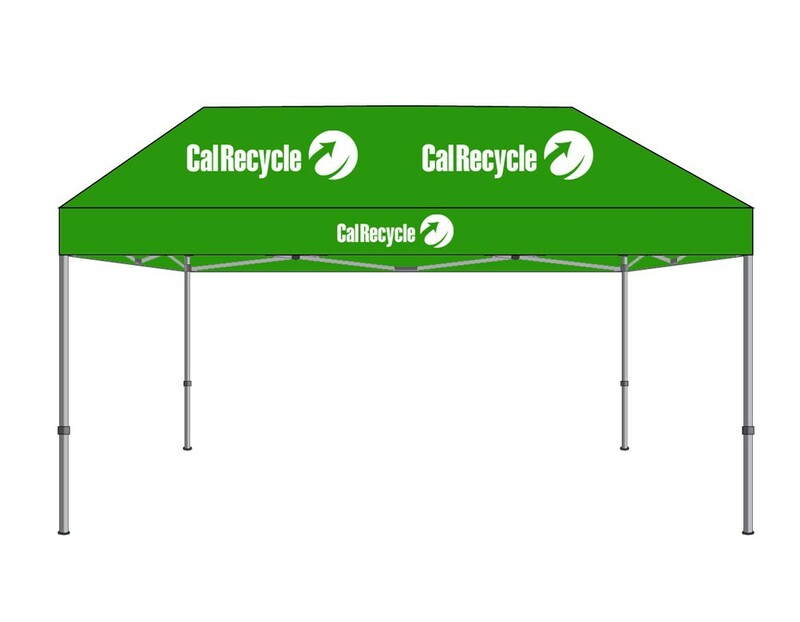 The 10’x20’ft canopy (~12ft high peak, 7ft clearance) is ideal for events or recreational use – promotions, parties, picnics, flea markets, etc. The canopy includes custom screen printed graphics on the top and sides. Easily sets up in less than 5 minutes with the expand and snap up feature. Made from heavy duty, professional grade 600D polyester top that is UV and water protected. Features a rust resistant powder coated steel frame design built with strength, stability, and durability. The canopy can be erected on grass and hard surfaces such as decks, driveways, etc. Easily dismantles and folds down for portability (dimensions 61" x 10" x 12", weight: 69 lbs). > With full color dye-sub graphics also available (please inquire). Also available without graphics for $239.